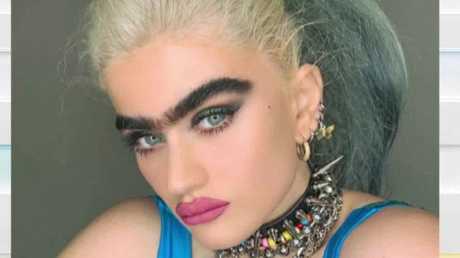 GREEK-Cypriot model Sophia Hadjipanteli who shot to fame for her unique look has revealed she's been at the centre of death threats over her jet black monobrow. The 22-year-old who emigrated to London and then the US admitted she is constantly bombarded with abuse online for her eccentric features. The young model who has an Instagram following of 295,000 appeared on Good Morning Britain yesterday telling hosts Susanna Reid and Piers Morgan that she gets a lot of death threats but tries not to read the negative comments. 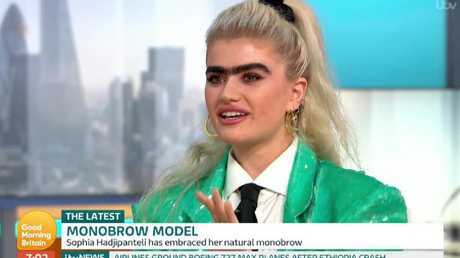 Her boyfriend who was waiting on set during Sophia's panel discussion with the hosts described her brows as "beautiful", as did Piers who said "I think you look fabulous and I don't really get why anyone could possibly feel so incensed by perfectly natural eyebrows that they want to harm you". On the back of Piers' comment the marketing graduate added that, "It's always a preference thing, just because someone doesn't like it doesn't mean that I can't." "I get a lot of death threats funnily enough, I guess it's not that funny," she said. 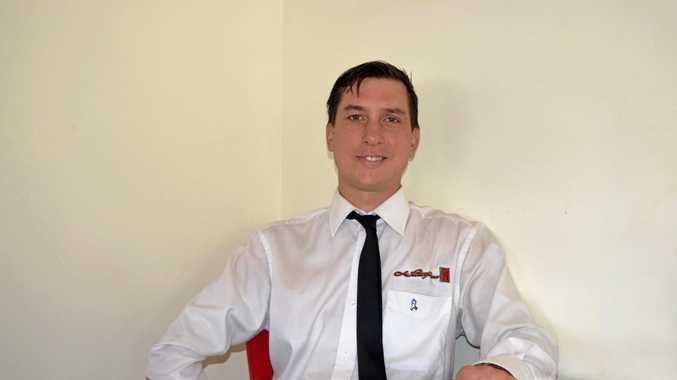 "I definitely get a lot of negative reactions, I'm not going to sit here and say a lot of them are positive because that's obviously not the case. Most are negative." In one of her more recent Instagram posts - where Sophia is wearing a red Prada jacket with matching red lipstick and has her hair slicked back with a studded headband - many followers have praised her look, saying how beautiful she is, while others have left nasty messages, demanding she wax her brow. "Very very Ugly," another said, while responses on some of her other posts read: "Just in case you didn't realise oh have a moustache on your forehead ??" "Ugh that really looks gross." She said she tries not to read a lot of the comments which often flood her social media. "I don't really have the patience to go through and read every person's comments," she said on the show. "It's a bit of a shame when you want to read the nice ones, to have to go through all the mean ones, but it's worth it I think." 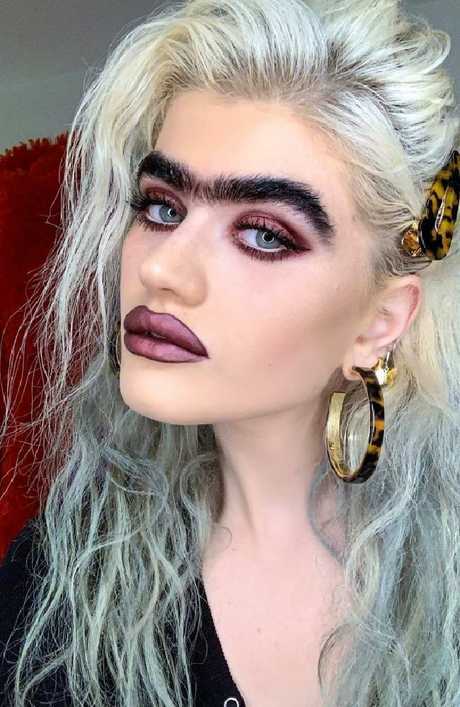 Her biggest fan is boyfriend Zac Apostolou, a London-based photographer, who told the hosts he loves her monobrow. "He had a monobrow when he was little as well. I tint my eyebrows, I naturally have quite dark eyebrows but not this dark, so whenever I'm tinting them he always gets so interested in what I'm doing," Sophia said. The natural blonde said she also uses special oil on her brow and told Susanna there was no particular moment where she decided to stop plucking her brows. "I wish I could tell you that there was one specific moment where, something happened or someone's opinion swayed me otherwise." Piers added that there is a "kind of sexist double standard here where a man can have bushy eyebrows, and everyone says oh that looks fantastic, but if a woman does it, suddenly it's an obscenity". 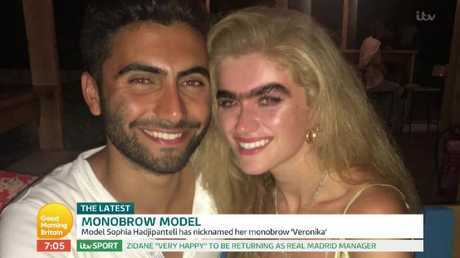 Sophia, who has also landed a contract with a British modelling agency, hopes her unibrow movement and body positive message will inspire others. 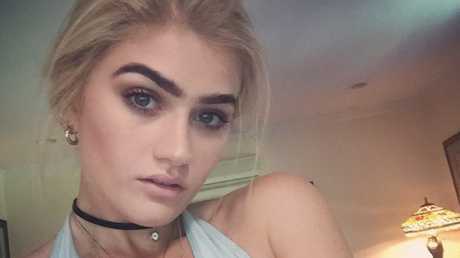 She has even founded an online movement using the hashtag #UnibrowMovement in her Instagram bio. "A lot of the negativity I get is from online mostly, and then in person people are just a bit unsure of how to take it," the model told Piers.